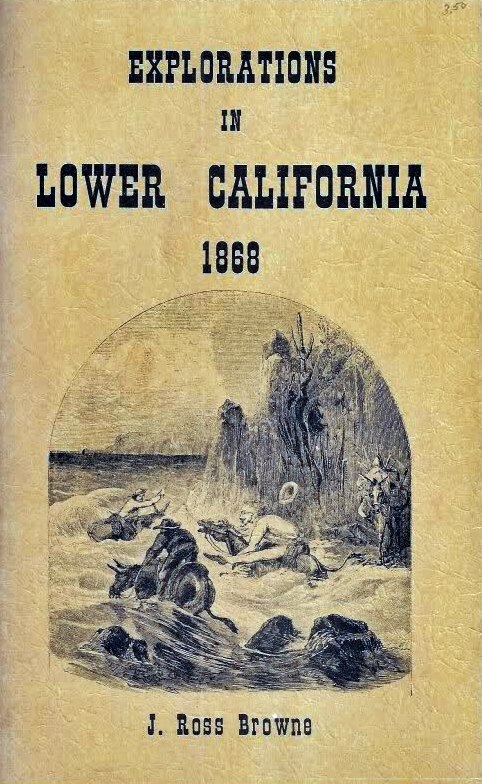 Exploration in Lower California by J. Ross Browne. Copyright 1966 by Spencer Murray. 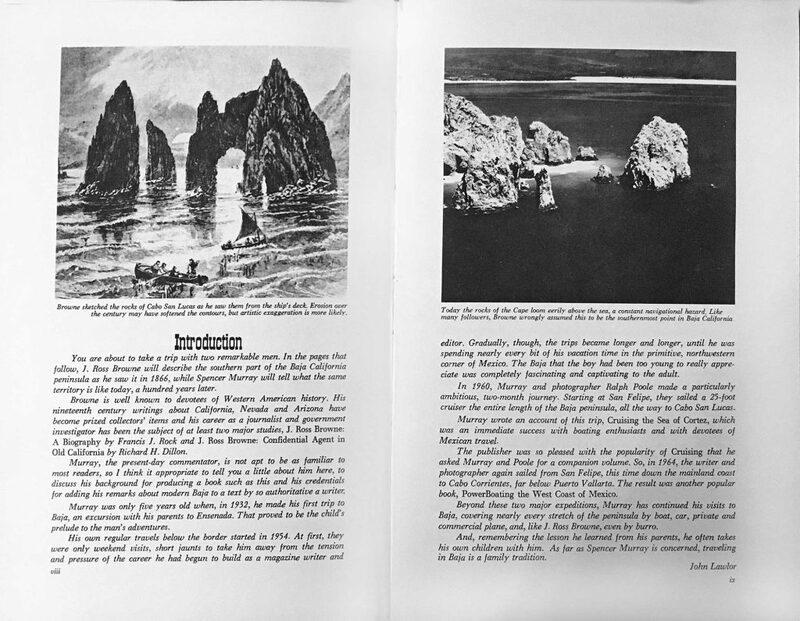 Illustrated with original sketches by J. Ross Browne and photographs by the publisher, Spencer Murray, except where noted. 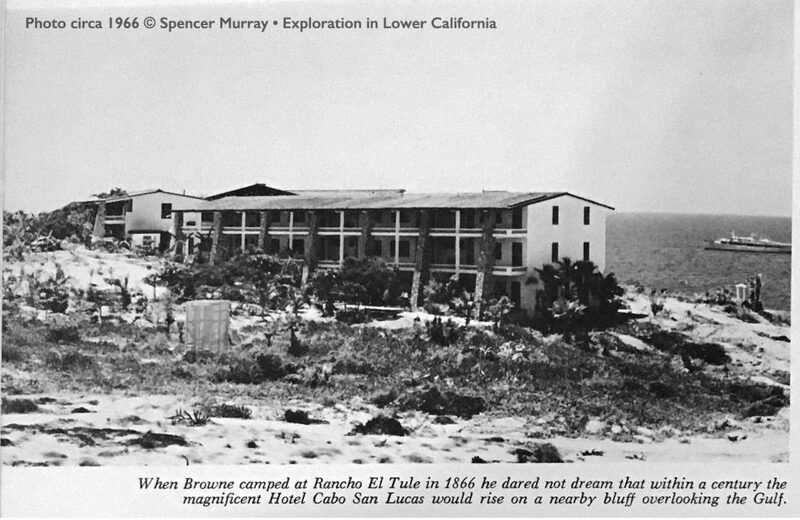 Left: Ritchie’s house was located on the sandhill behind the beach at Cabo San Lucas Bay. The town was later entered around the site, but the vicious hurricane of 1941 forced it relocation a mile inland. Today on the spot stands the beautiful Hacienda Cabo San Lucas. a report catering primarily to fly-in visitors who land their planes on the hotel’s airstrip. Right: From Browne’s description of the Continental’s anchorage we can assume is rode on its ground tackle in the centre of this photograph. Guests of the new Hacienda enjoy this view of the bay and the cape beyond from the upstairs veranda. 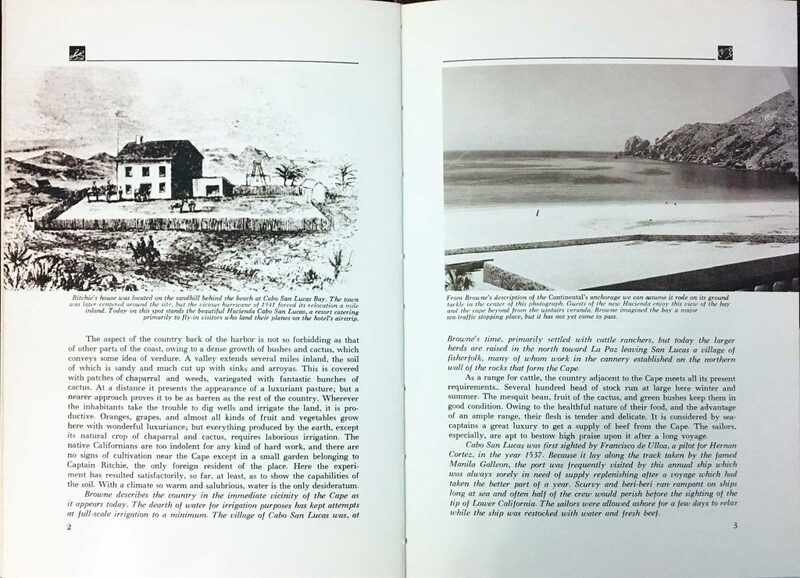 Browne imagined the bay a major sea-traffic stopping place, but it has not yet come to pass.